Back to Human (2018) explores how workplaces that offer a more human approach offer not just a better environment for employees, but better business results. 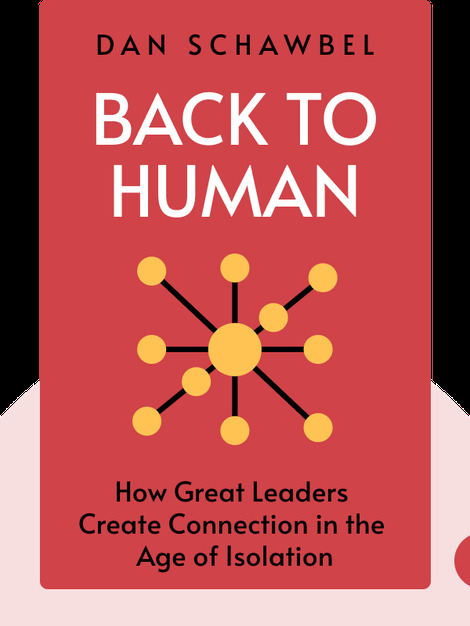 In an age dominated by the use of technology, Back to Human is a practical guide showing workplace leaders how they can build a better corporate culture based on human connections. People looking for a practical guide to modern day management. 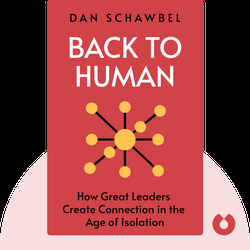 Dan Schawbel is an expert in all things related to the future of the workplace. The founder of workplacetrends.com, the world’s largest aggregator of research on workplace issues, he is an acclaimed entrepreneur, podcaster, speaker and author. He has published two other best-selling books about life at work, Promote Yourself and Me 2.0.